UPDATED: Thu., March 15, 2018, 5:43 p.m. The Stanford, California, pod of the NCAA Tournament not only features four quality teams, but plenty of talented players. Here are just a few of the players to keep an eye on over the first two rounds. The high-scoring forward from the small town in Montana is Gonzaga’s biggest weapon, and everyone knows it. That includes Stanford, which like most teams will bring frequent double-teams in the paint. Barta can post up low or high, and is adept at both. Barta also is a threat from 3; she leads GU in shots taken (100) and accuracy (37 percent). Barta had a game-high 26 points in the teams’ last meeting, a 68-63 GU win in November 2016. 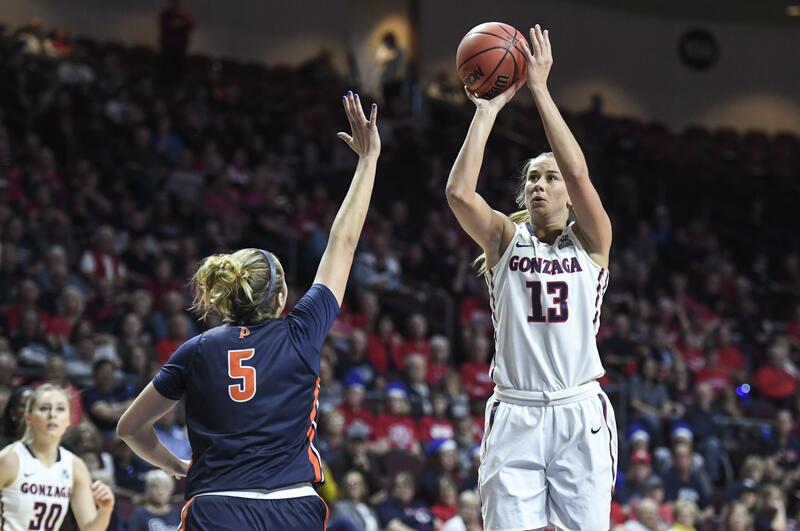 The 6-foot-3 native of Fairfield, Montana, is coming off her second straight MVP award in the West Coast Conference tournament. She’s only 5-11, but the senior is as comfortable in the paint as in the perimeter. “Rose is a complete player,” FGCU coach Karl Smesko said. “She is a great scorer who can shoot it from deep and also attack the basket. She is also an excellent defender.” A two-time all-Atlantic Sun Conference first-teamer, she leads the 30-4 Eagles in scoring (13.4 ppg), manages to pull down four rebounds per game and shoots a team-high 84.2 percent from the line. Julien’s season-high 25 points helped FGCU to a 74-60 win over Stetson to win the outright title in the Atlantic Sun Conference. Published: March 15, 2018, 4:56 p.m. Updated: March 15, 2018, 5:43 p.m.